48in x 30in. The colors are still vibrant with no significant dents or scratches. 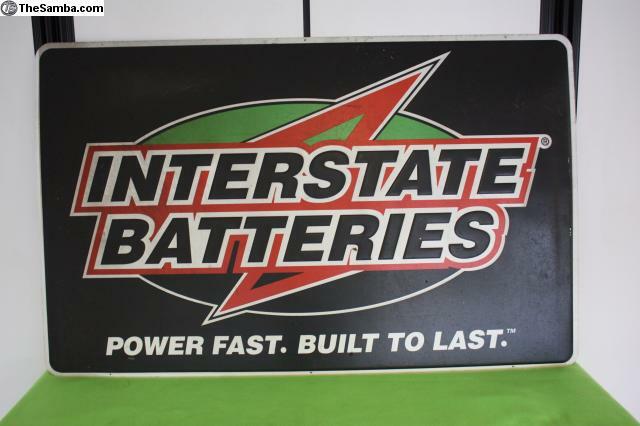 Interstate batteries is the brand I always use for my cars. This would be a cool piece for your garage.